Jersey Public School is located in Keswick Ontario. 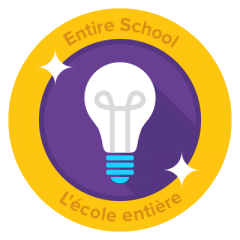 Our grade 8 student committee will be in charge of introducing the rest of the school to the Bright Bites Program, along with coming up with innovative ideas to promote overall health in our school. At Jersey we hope to educate our students about sustainable ways to enjoy fruits and vegetables. 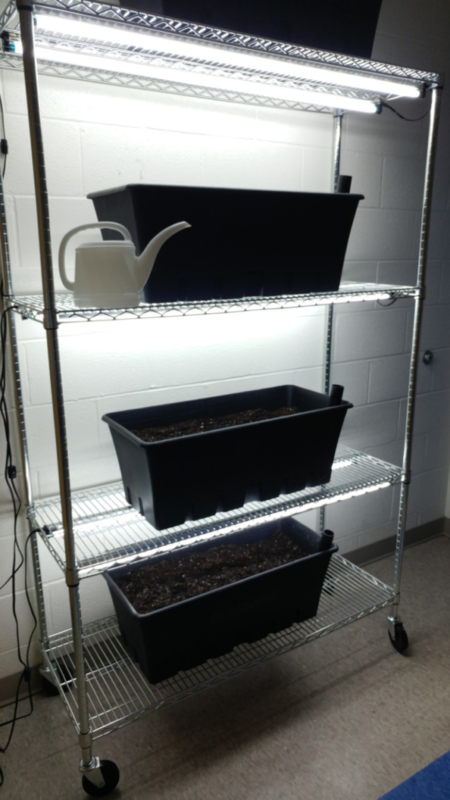 We were fortunate enough to start an Indoor Garden a few months ago that is taken care of by our Intermediate Students. We are growing beans, carrots and cucumbers. Today we picked several beans and all had a chance to taste them, the results are in and they were delicious. Students also set up a bowl in the Office with a sign inviting staff and visitors to give the beans a taste. 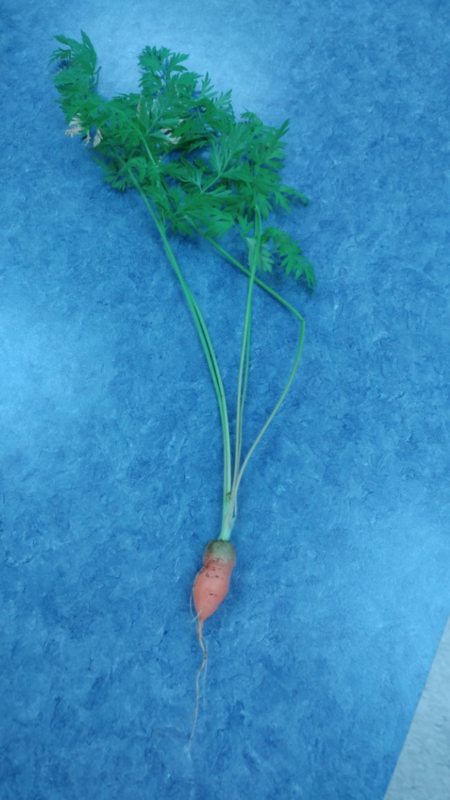 Unfortunately our carrots were not quite ready yet – LOL. Growing, taking care of, and eating what we grew has promoted healthy habits that students want to take home to their parents. Many students have even discussed starting a garden in their own communities. This project has encouraged kids to develop life long habits of healthy eating and an enjoyment of trying new vegetables. On Monday May 7th, Ms. Capewell and 6 students from our Kindergarten Class got together to plan Pea seeds to begin our Outdoor Garden. The six students were able to pot the soil, plant the seeds, and water them. The students decided to start with Peas as they can be planted as soon as the ground can be worked, and will survive in cooler evenings. Afterwards, they went back to their classes and taught the other students about what they planted, and how as a Kindergarten class, they will take care of their plants. We would like to Thank the Healthy Kids Community Challenge for supplying us with everything we need for our Outdoor Garden. 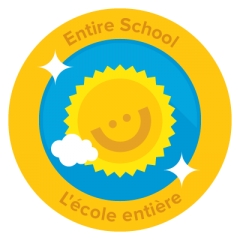 On Tuesday our School celebrated the “French Olympics.” There were many different stations including table tennis, and obstacle courses. 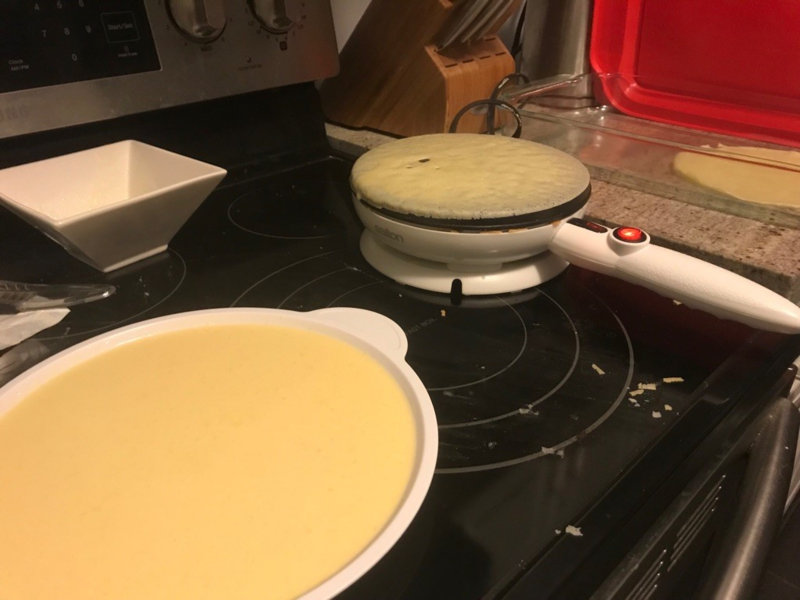 One of the stations was a “Crepe Station” where students were able to make their own crepe out of whole wheat flour, and other healthy ingredients. 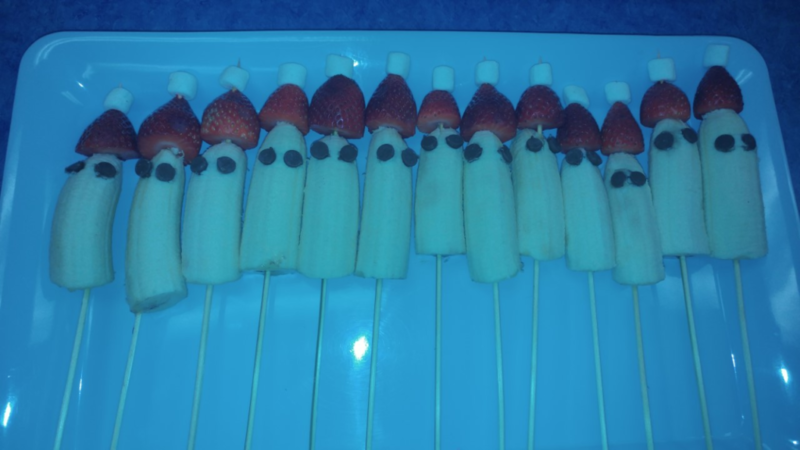 They also were able to choose healthy toppings which included bananas, and strawberries. This experience involved grade 4-8 school and engaged students in a brief cooking experience that was enjoyed by all. 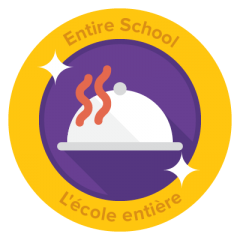 Our You’re the Chef team along side our French teachers were once again cooking up a healthy snack! Yesterday, our Intermediates led “Les Jeux Olympiques” for our junior students, and one station involved a healthy snack of homemade crepes with strawberries and blueberries as the toppings! As a teacher in a economically challenged school, we have to get creative with the way that we teach. Fortunately we recently had a great opportunity to take 4 students into the community to grocery shop. This was a great Life Skill for many reasons, from budgeting, to choosing the healthiest option. The Teachers reviewed the “Canada Food Guide” with students and explained that we were going to purchase items from at least 3 food groups to ensure our snack was healthy, and met certain criteria. Once the students decided on their menu items which included yogurt, granola, and fruit, they proceeded to the grocery store. There the students examined the packaging to determine which food items were healthiest, looking at the ingredient list to ensure nothing had more the 14 grams of sugar. It was a great learning experience for the students, as they learned although something may look or sound healthy, that is not always the case. 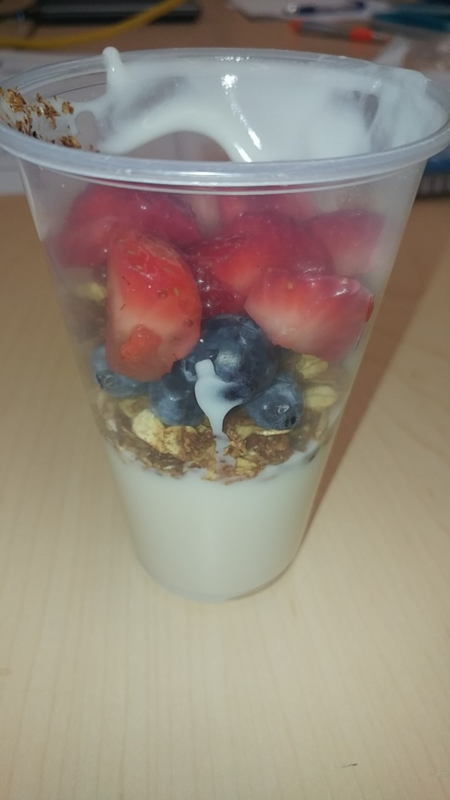 Ultimately the students chose plain yogurt, granola, blueberries, and strawberries for their yogurt parfaits. 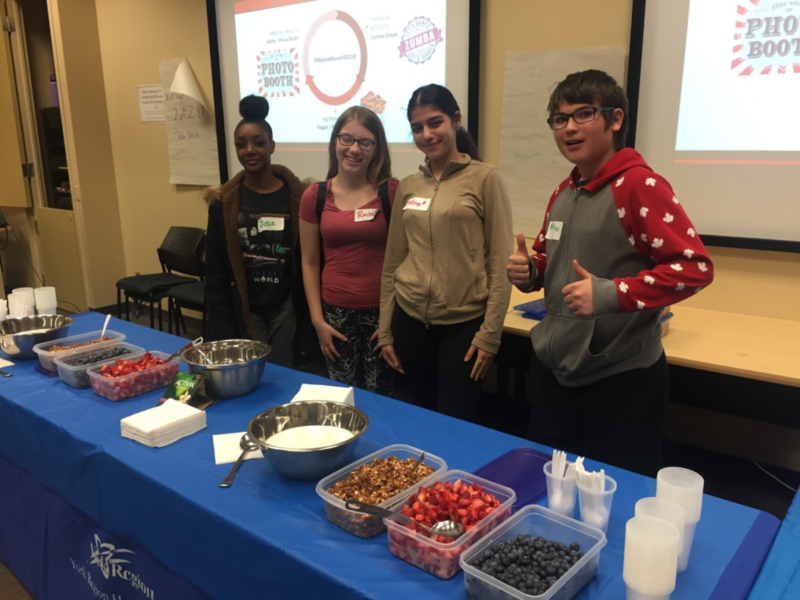 Yesterday 4 of our Intermediate Students who participated in the “You’re The Chef” Program were asked to prepare yogurt parfaits for a Meeting the following day. They asked for a “Healthy Recipe” to prepare the granola, and The You’re The Chef Program provided one. Students were involved in the process from beginning to end. They washed and cut the strawberries and blue berries, they added spices including cinnamon to the granola, and baked it, and lastly they put it into containers ready to be served. The Yogurt Parfaits were a huge hit. 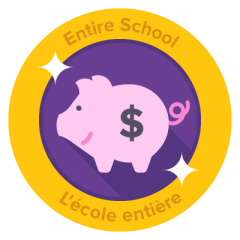 Ever since registering with the Bright Bites Program, our school has made a conscious effort to change the way that we fundraise. Instead of selling cookies and chips every day at our Snack Cart we have switched to healthier options which include frozen yogurt with real fruit, sherbert made from real fruit, and white 2% Milk. Initially we were concerned the switch would deter students from accessing Snack Cart, however, we have seen quite the opposite. More student are ordering healthier choices, which makes us and them feel better! 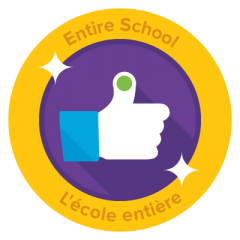 Students here at Jersey Public School are excited about our Rank for Bright Bites and are proud of all that they have accomplished. Ms. Capewell partnered with Healthy Kids Community Challenge Georgina who graciously provided our school with 8 large veggie trays. Our Healthy Kid Student Ambassador’s went to each classroom with a veggie tray, explained how well we are doing in our Bright Bites, and handed out a mid-day snack of healthy vegetables to all of the classes in the school. 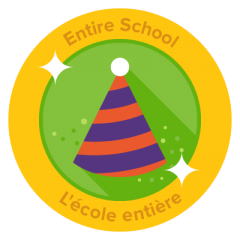 Students were so excited about the treat, and are eager to continue to work hard to earn badges and make healthy life style choices. 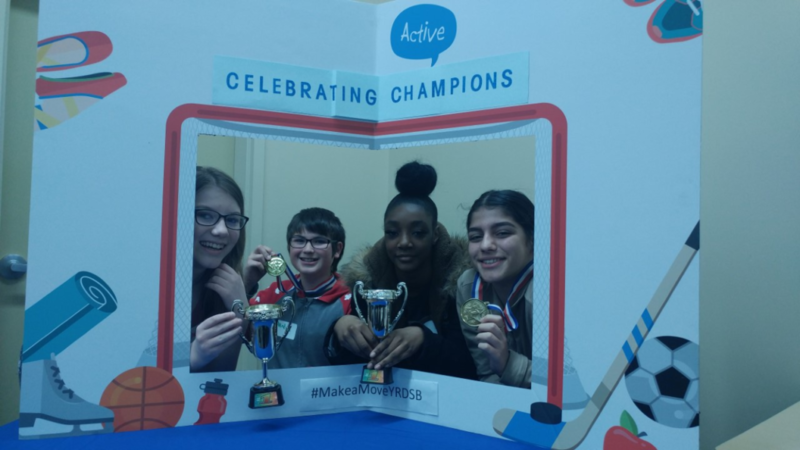 Thank you Healthy Kids Community Challenge for helping us CELEBRATE our SUCCESS! Staff at Jersey Public School completed the Metro Green Apple Grant in order to provide a daily snack to students. We received $1,000 to grow our Indoor Garden as well as provide fruits and vegetables every day in the Office at Lunch Recess. We provide a basket with a variety of fruits including apples, oranges, and bananas. We also provide a veggie tray with carrots, cucumbers, and cherry tomatoes every day. Many students come to the Office for a healthy snack, and sometimes to supplement their lunches. The snack program at Jersey has helped to nourish our students and open them up to trying new fruits and veggies. 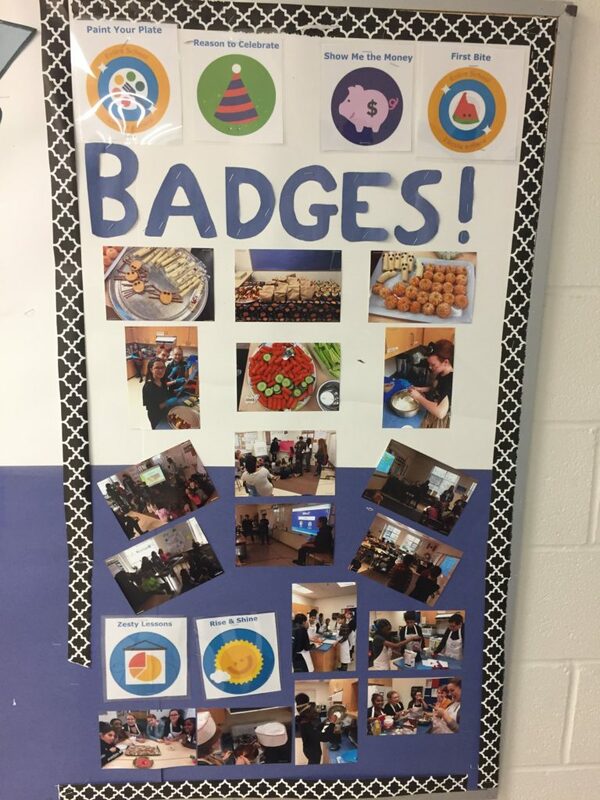 To celebrate our Bright Bites Achievements, we created a section on our Health & Physical Education bulletin board for all to see! This bulletin allows us to keep our school community informed on how we are doing with the Bright Bites Initiative and also helps to inspire others to get involved! Our Breakfast Program is located in the basement near the kitchen. We have several pop up tables that face the wall to easily and efficiently feed as many students as possible. 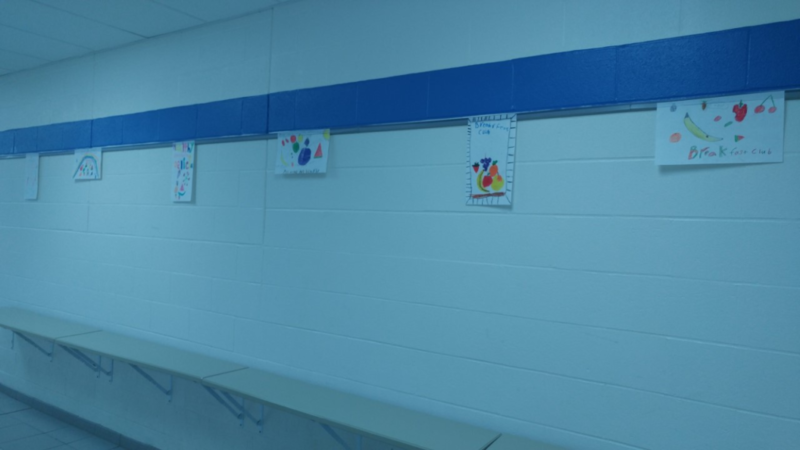 However, some grade 7 Breakfast Club helpers noticed that the walls were very bare and it wasn’t the most inviting place to sit down so they suggested creating posters to decorate the walls. 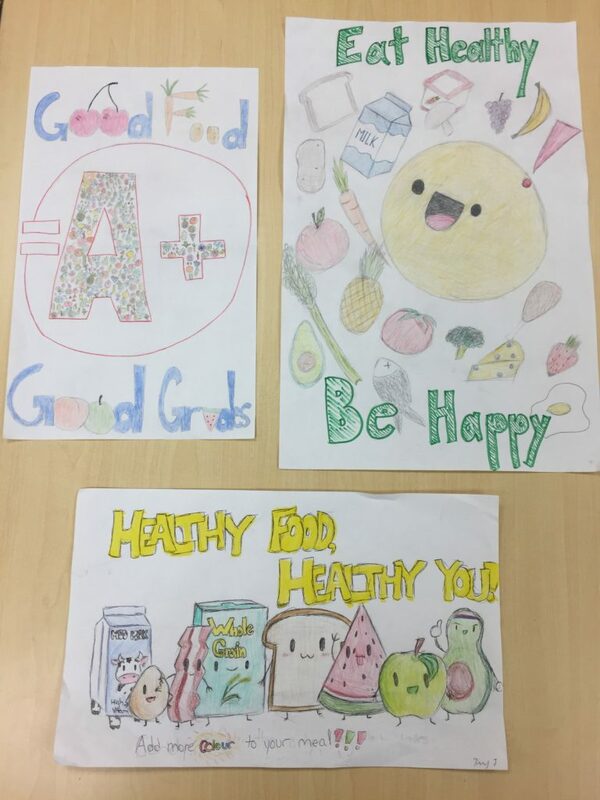 Ms. Capewell made an announcement that the Grade 7’s read every day inviting each Class to create a poster to decorate the walls of Breakfast Club while also promoting/encouraging and celebrating healthy eating habits. We are still getting poster submissions, however, the posters we have hung have made a huge difference in the space. The students feel like it is “their space” and students who made posters, but have never come to Breakfast Club before have started to come because they feel like they are a part of it. The space is transformed and we cannot wait to continue to decorate it. The Grade 8’s in our You’re the Chef program had the unique opportunity to receive training from Fae Chen, a nutrition educator with York Region Community and Health Services, to prepare them for facilitating the You’re the Chef Jr. program to younger students at our school. They were able to learn cooking techniques from an expert and together created a delicious Carrot and Pear Soup! Students also had some time to look through recipes and plan their cooking session that they will run with some of the younger students in our school! One of our teachers took the initiative to start a Baking Club on Wednesday nights to have students help prepare food for our morning Breakfast Club Program. This week, our students prepared Whole Wheat Oat Bran muffins for our Breakfast Club on Thursday morning! 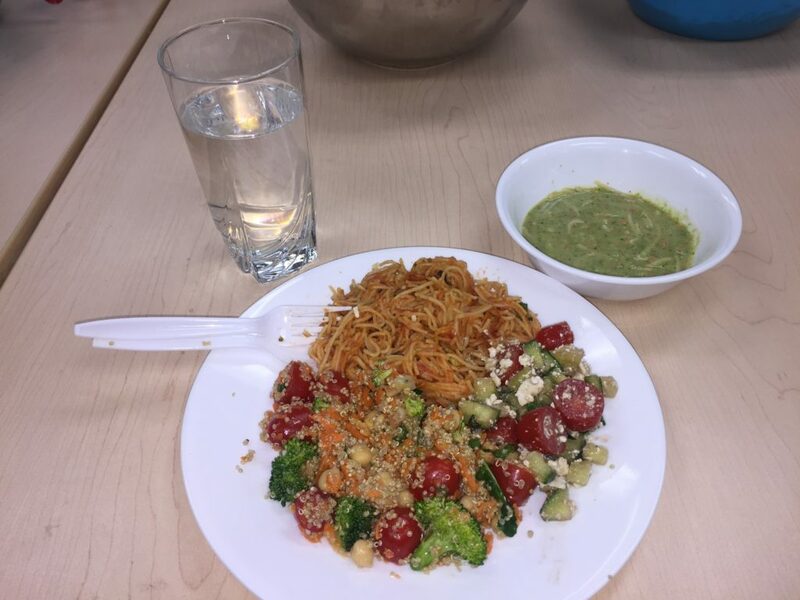 Last week’s final “You’re the Chef” night had students experimenting with “Soups and Salads!” Students made two salads: Tomato & Cucumber Salad and Chickpea Quinoa Salad. They also made Creamy Veggie Soup to go with their salads. Our students had never tried quinoa before, so it was great seeing the kids try something new and liking it! I hope tonight inspires them to introduce quinoa to their families as well! Last week we continued our You’re the Chef cooking program and did some healthy baking instead! Our theme was “Desirable Desserts” and we made “Baked Apples” and “Cinnamon Crisps with Strawberry Salsa.” Students learned that eating healthy doesn’t mean “no desserts ever!”; especially since there are many healthy dessert options out there as well! Students also learned to troubleshoot when you don’t have a required kitchen tool (potato masher for the strawberry salsa). So students came up with the idea to use a blender instead, which worked out purfect! (Get it? Puree? Perfect?…)! Thanks to Healthy Kids Community Challenge Georgina who donated all of the items we needed, we have started an Indoor, edible garden at Jersey Public School. This garden will be maintained and cared for by our Intermediate Students, and once the food has grown it will be served in our Breakfast Program. Today we planted cucumbers, carrots, and beans. The students are already extremely excited about the garden, and have asked many questions. We are so excited to start our green thumb journey. Our Junior Chefs had another successful night cooking after school! Tonight’s theme was “Awesome Apps!” The recipes were again chosen from York Region’s “You’re the Chef” recipe collection: Bruschetta, Herbed Cheese Dip, and Roasted Red Pepper Dip! Students once again got a chance to practice their safe chopping, slicing, grating and mincing skills! We also learned that “basil paste” definitely does not taste the same as “freshly cut basil!” (a.k.a. not a recommended substitute if you can’t find fresh basil at your local grocery store)! In previous years here at Jersey Public School the Staff were responsible for deciding what was for Breakfast and snack each day. This year, we have involved our students in the decision making. 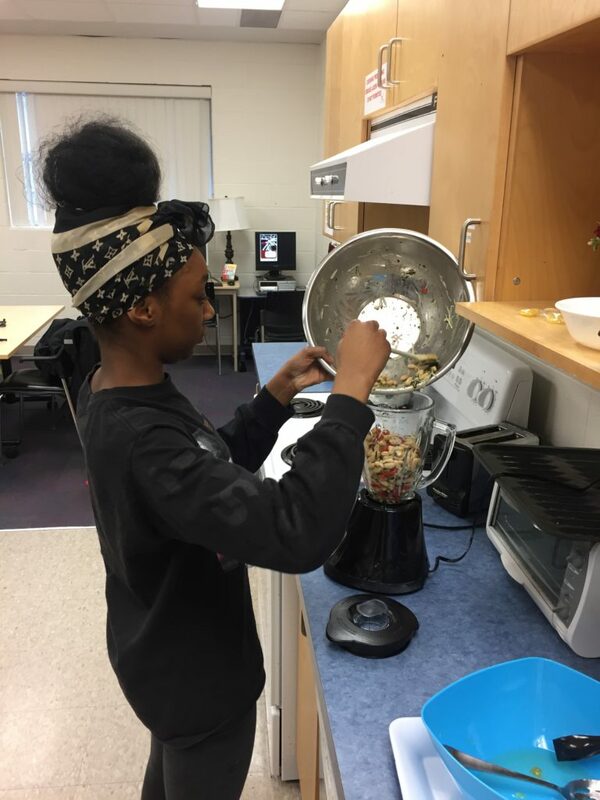 The first thing our students suggested was making a Menu for two weeks to ensure that we could plan, shop, and serve a variety of healthy foods which met the requirements of serving a minimum of three different food groups each day. The students made the Menu’s with staff supervision. For example one day they decided we will serves egg wraps with cheese, carrots, celery, cauliflower, and apple sauce. The next thing we did was began ordering from a delivery service which was school approved to ensure we were only purchasing healthy items. 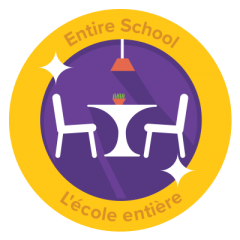 Now our menu has a variety of nutritious foods and the students continue to have a say in what gets made and served for Breakfast and snack each day. In September our school was the recipient of the Green Apple Grant, we received $1,000 to put toward a student lead Nutrition Program. The idea was that students would prepare healthy, nutritious meals for our Breakfast Club under the supervision of Staff. 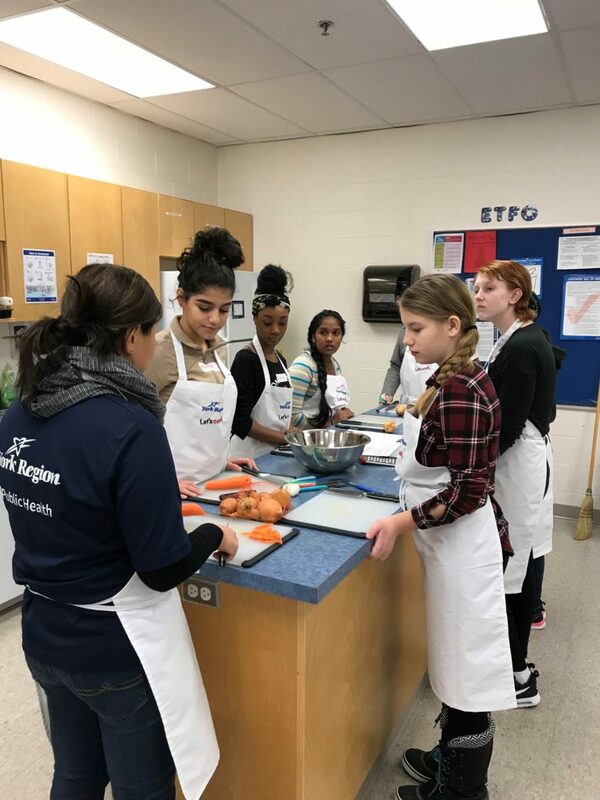 Any Intermediate Students can participate and on Wednesday 6 Grade 7 & 8 students came out to learn the valuable Life Skill of prepping, cooking and serving healthy foods. This Program will continue until the end of the year with the students preparing a variety of breakfast foods from muffins, quiches, home made oatmeal bars, omelettes, and more! The students confidence has sky rocketed from this Program and the same students continue to come each week (maybe because they get to sample what they are making.) Most recently, students who we wouldn’t have expected to participate are showing up to learn how to cook & make memories with their fellow peers, it’s just a bonus that the food goes toward feeding the rest of the school too. For Breakfast Club we celebrated winter break by supplying healthy, nutritious food that was exciting for the students to eat. We had “Santa Kabobs,” cheese, kabassa, and crackers in the shape of a Christmas tree, and our Breakfast Club helpers also cut cucumbers into the shapes of stars. The whole school was even more excited than usual to enjoy a healthy breakfast! Improving the quality of food we serve during a Holiday will help students associate healthy eating with Christmas. Our You’re the Chef program continued last week with the theme Delicious Dinners! 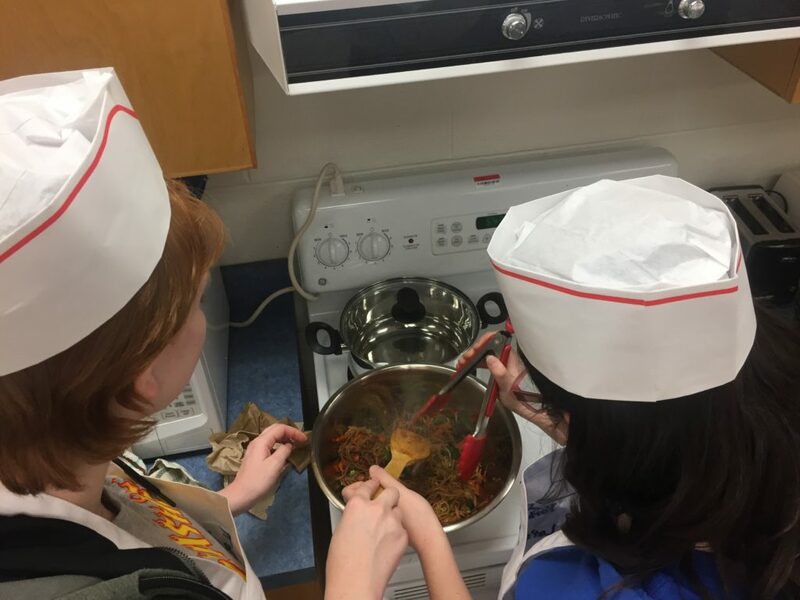 Our Grade 8 students cooked up a Rice Vermicelli dish loaded with healthy vegetables (bok choy, carrots, peppers, broccoli) and a Vegetarian Chili. Students also learned how to safely chop, slice, grate and mince various ingredients! We have been fortunate enough to be introduced to the York Region “You’re the Chef” program at Jersey P.S. 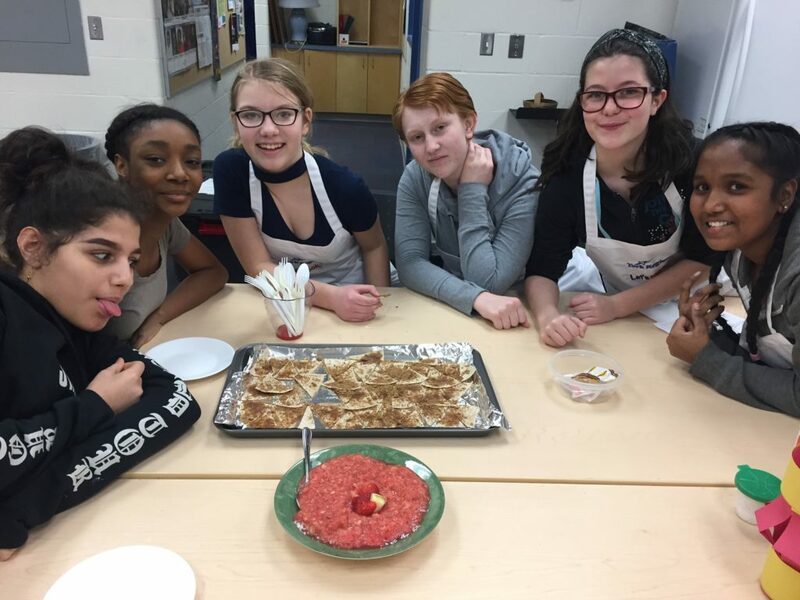 You’re the Chef (YTC) is a hands-on cooking program that develops the skills and confidence for junior and intermediate students to prepare healthy and tasty recipes emphasizing vegetables and fruit. 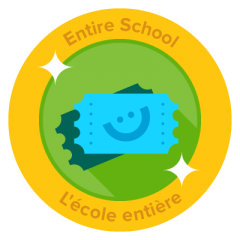 A teacher at our school was trained on how to implement the program, and with the help of another teacher at the school, we started running the program last Thursday after school. We will be running it for 5 weeks, and each week will have a theme (e.g. Breakfast Blast-Off, Delicious Desserts, Savory Snacks, etc.). 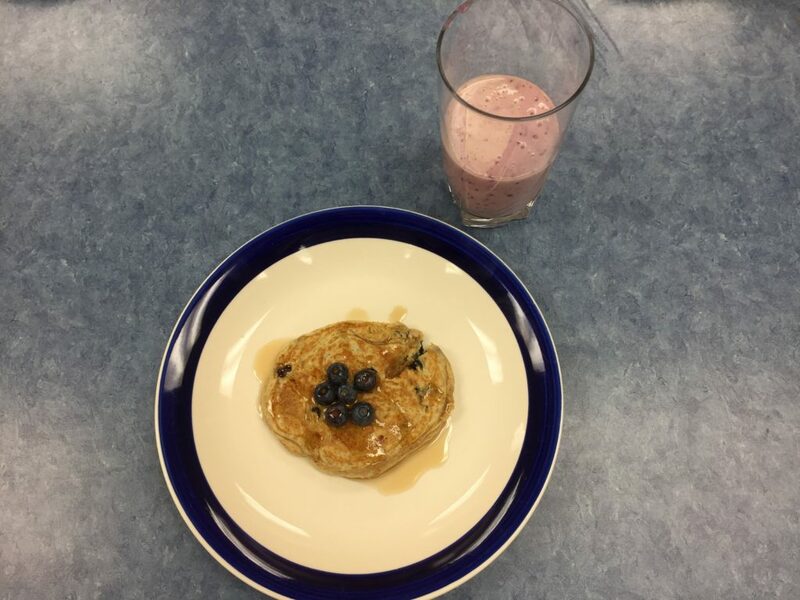 Last week, we started with “Breakfast Blast-Off,” and students worked together to follow a recipe for “Banana Berry Smoothies” and “Blueberry Pancakes!” We have eight Grade 8 students involved in the program; we are hoping to offer the program again in the spring, where we can offer this program to our junior students by having these Grade 8’s be leaders and facilitate it for them! 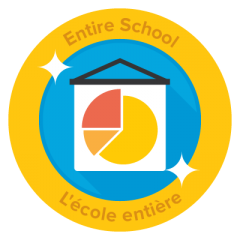 Our French Teacher at Jersey Public School realized the importance of teaching about Healthy Eating. 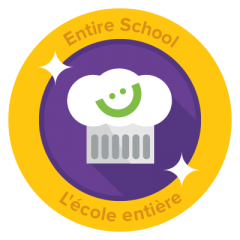 In her Intermediate class, she had students follow a recipe written completely in French for healthy banana muffins. 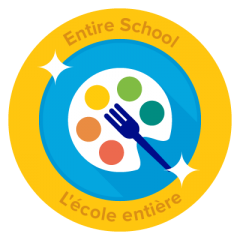 This Teacher also taught a lesson in French about healthy eating, and substituting unhealthy ingredients for healthier ones. Her students each had the opportunity to prepare, bake, and of course eat delicious home made, healthy muffins! After an exciting Health lesson about healthy eating, one of the staff at Jersey Public School decided to make smoothies with her students. The students dissected the typical smoothies you can order from places like Dairy Queen, Booster Juice etc, and discovered just how healthy or unhealthy some of these smoothies are. The Teacher then brought in Greek Yogurt, frozen fruit, and milk to create healthier smoothies. The students had a chance to learn that sometimes what restaurants advertise as “healthy” is actually the opposite, as well as enjoy a healthy alternative. Our Student Nutrition Program at Jersey Public School feeds approximately half of the school each day. Our Breakfast Club consists of Ms. Capewell and 3 grade 7 students who help prep (cut, wash, cook) the food, as well as serve it to the students who visit the Program. The grade 7 students (AKA Breakfast Club Crew) also helped create the Breakfast Club menu which contains at least 3 different food groups for each day. 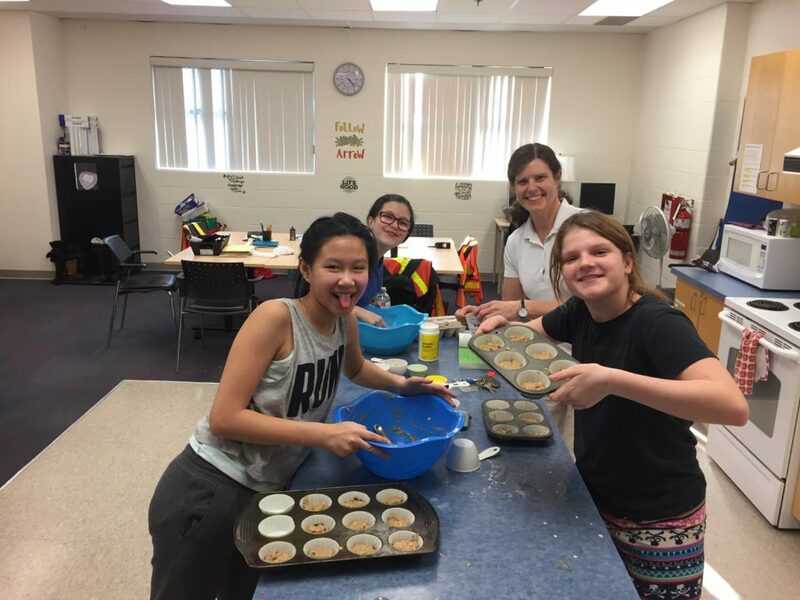 One of our Grade 8 Teachers has also started a Cooking Club in which students prepare muffins for breakfast club. The muffins are packed with healthy ingredients including bananas, whole wheat flour and flax seeds. We enjoy student involvement in all aspects of our SNP here at JPS! Every year, the Grade 8’s run a Halloween Dance for our Grade 6-8 students at our school as a fundraiser to raise money for their Graduation. Usually, the snacks we sell at the dance are pop, candy and chocolate. However, this year, as Grade 8 Healthy Eating Ambassadors, they decided that we should sell healthy snacks instead! After a group brainstorm, we decided to sell fruit kabobs, vegetable cups with homemade dip and popcorn (no butter) baggies. On the morning of the dance, a few students in our class prepared the snacks in the kitchen themselves! We were very worried that the snacks would not sell because they were healthy, however, the snacks were a hit! The fruit actually sold out first! Now that we saw that selling healthy snacks can generate money for our Graduation, we will sell healthy snacks at all our future school dances! 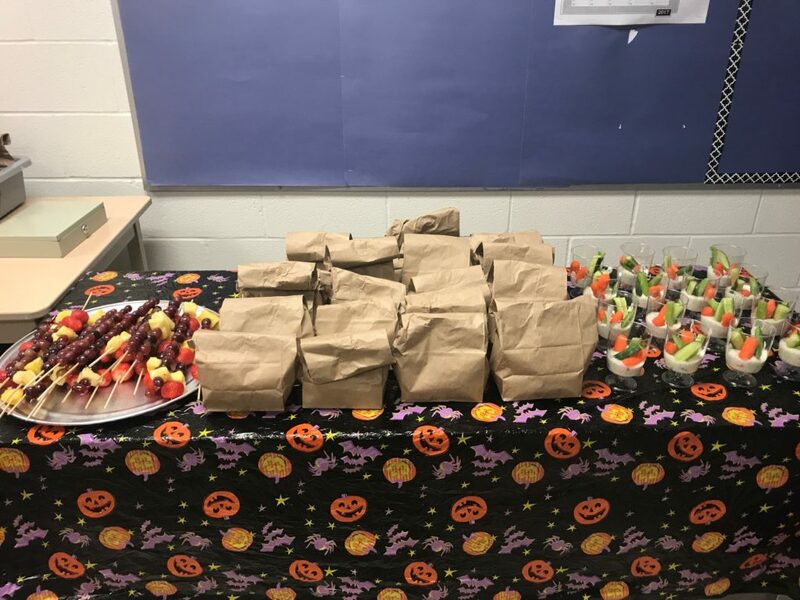 At the Leadership Meeting Jersey staff discussed having healthy and nutritious foods brought in for their Halloween Parties. This got Ms. Capewell and her team of 3 grade 7 students thinking. We decided to do a “Halloween” Themed Breakfast Club. 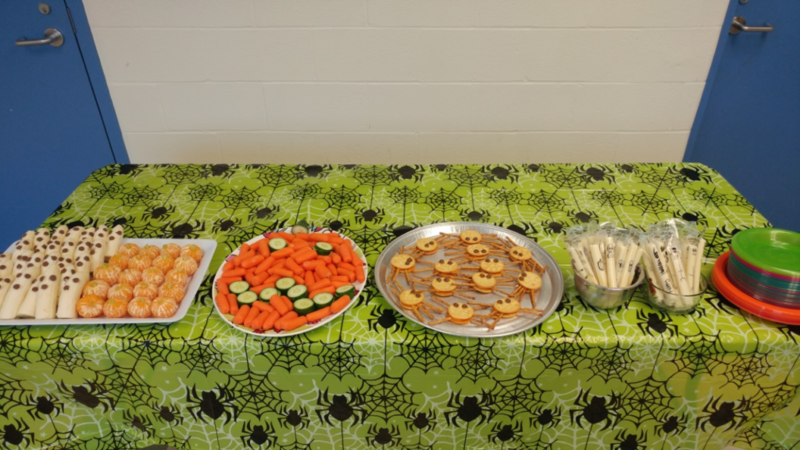 We served foods in the shapes of spooky things including pumpkins, jack-o-lanterns, spiders and scary faces. We also bought a Halloween themed table cloth to add to the theme. The grade 7 Breakfast Club crew prepped all of the food for Breakfast Club. Tying healthy and nutritious foods to a theme helped the students celebrate Halloween and healthy eating. 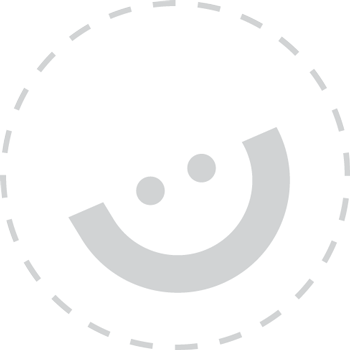 Jersey Public School has a snack program which makes snacks available to the entire student body. 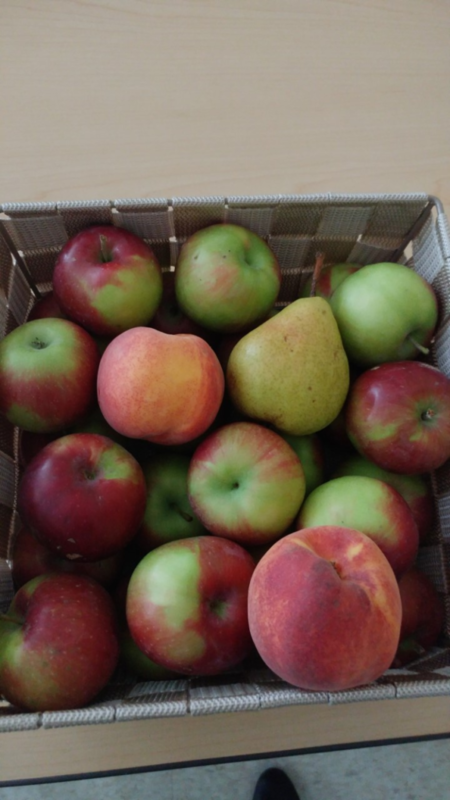 We have two baskets that are always full with apples and pears, peaches, oranges and bananas. These baskets can be found in our main office, as well as in Room 104. By the end of each day, the baskets are empty. Students look forward to seeing what healthy options are available for them to snack on throughout the day. Staff use these baskets to promote nutritious snack habits as well as expose students to different fruit choices. We would like to thank Homestead Apple Orchard for their kind donation of fresh apples for helping us supplement our fruit baskets.